Audree's birthday party was going to be tonight, but she's been so sick this week that we had to postpone it. This was her best day by far, but she still spent much of it in bed and on the couch. 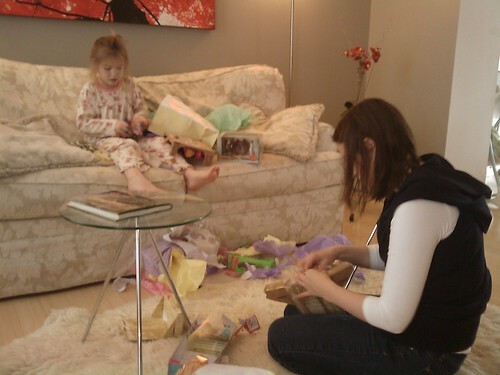 She rallied enough strength to open some presents this morning from Mom, Dad, & Sis. 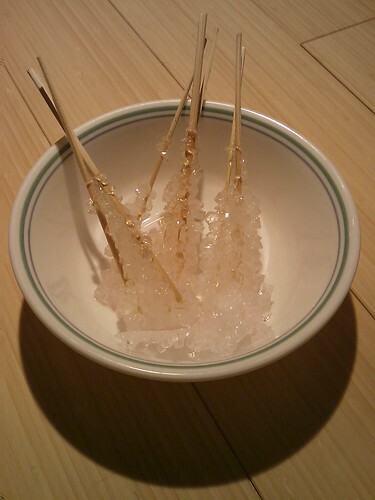 Audree and I made an attempt at growing our own rock candy. The instructions said to add 3 drops of food coloring, we put in 4 but even that didn't seem to add any color at all to the finished product. 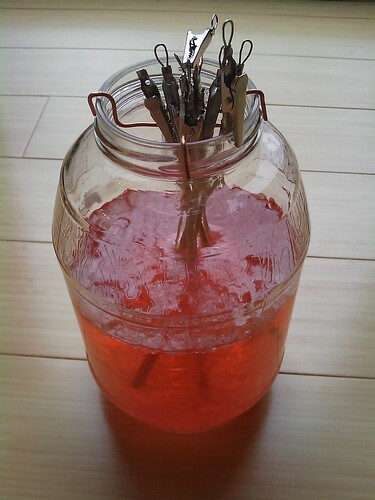 Just make sure your stick or string does not touch the bottom or sides of the jar. 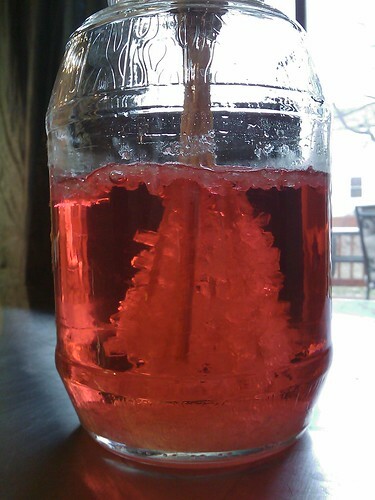 I remember doing this once as a kid and the crystal grew onto the container. It becomes nearly impossible to pull out without breaking the glass.